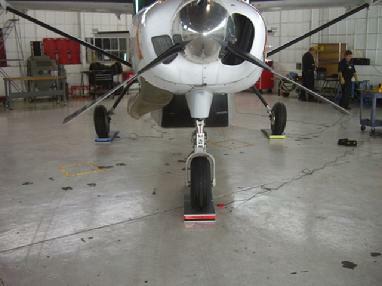 Cessna 208 on standard tronair jacks using our new wireless top of jack scale system. M2400-3-10CS this scale works great for small aircraft and helicopters up to light to medium jets and is one of our best sellers! HH2400-3-10CS wireless @ $7295.00 or our HH2400-3-10KP wireless platform system @ $7495.00 your choice. Our HH2400 hand held unit is truly wireless, battery powered and the batteries last 1.5 years or more. No more extension cords or cables, just position the cells, wake them up and weigh your aircraft. 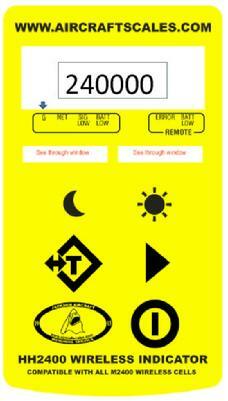 HH2400 indicators read out each point weight and advance to a total weight displayed. Its easy and portable, works great and makes weighing operations simple. Options available are a wireless printer or full upgrade to our M2400 series laptop computer system. Jacking your 208 and using our top of jack load cell kits is very easy. Our kits are available in wire or wireless configurations. 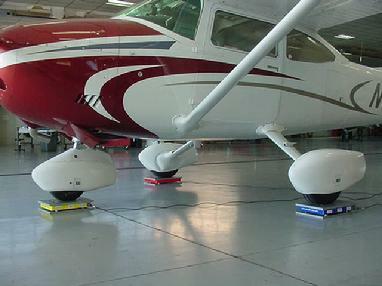 Our wired and wireless systems can be used for all Cessnas, from small up to the Citation line. Here is a small Cessna on our standard hard wired platform scales, 50 ft cables, digital indication, works great for most Cessna aircraft types. 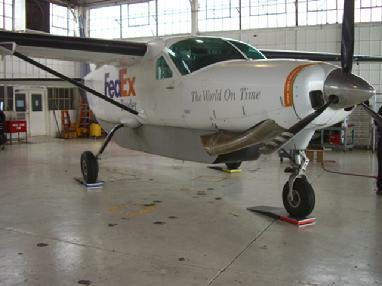 Small Cessna ready to weigh on our new wireless platform system. 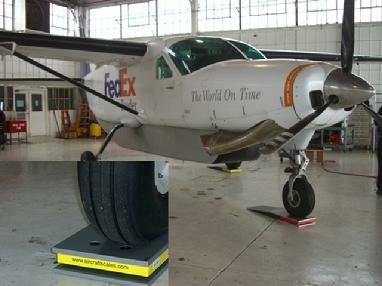 This system is capable of weighing most Cessna aircraft, from a 172 to a Cessna 550 Jet. 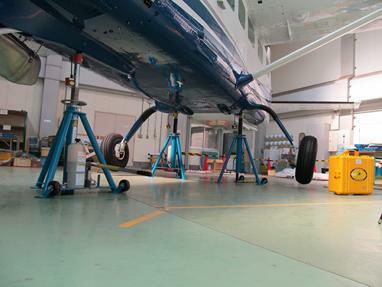 Your aircraft will roll easily onto our platforms and weighing is easy and takes only a few minutes to set up and weigh your machine. Just click this picture for our quote page on line.